If you need motor trade insurance, then you need the right cover. And that means you need the right quotes from the right people. It’s not easy to find the perfect motor trade insurance policy that fits all the unique aspects of your business – but we’re here to help! We’ll point you in the direction of insurance providers who’ll ensure that you get the right cover for your traders’ policy. This leaves you to get on with running your business, without having to worry about what needs to be covered. Simply click below now to find the insurance that’s the right fit your motor trade business! If you’re exploring the world of motor trade insurance, things can get a tad confusing. But never fear, because we can guide you through the different types of cover and insurance options that you need. We’ll even tell you how to save money on your insurance, because we understand that every penny you save is a little extra profit for your pockets! Before we get to that though, we need to cover the basics. It’s not always an easy one to answer. But put simply, motor trade insurance is cover for any business that is in the care, custody, or control of a customer’s vehicle, or is involved in the sale of vehicles to a customer. If your business falls into one of the above categories, then you’ll need motor trade insurance. What Is Covered Under Your Traders’ Insurance Policy? Motor trade insurance is there to cover you, and your staff, to look after all the vehicles that are under the care of your business. You can put specific drivers on your policy, or use ‘any driver’ options to cover anyone in your business to drive without being specifically named on the policy. It’s very important to note though, that even if you have ‘any driver’ cover, you may still need to notify an insurer of certain named drivers. Please check with your insurance provider directly, or read your policy documentation, to know when this is necessary. Your traders’ insurance policy can also cover you for more than just business needs. You can get cover for social, domestic and pleasure purposes too. But it’s important to understand that traders’ insurance is not an ‘any vehicle’ insurance policy for all of your personal vehicles. The vehicles you own outside of your business should still have their own private motor insurance. Motor trade insurance covers your business’ needs, and it shouldn’t be used as a way to get cover for vehicle uses outside of that. This is specialist insurance for genuine businesses working within the motor trade industry. It’s also worth noting that trade insurance is different from other business insurance policies. CleanGreenCars provides quotes from a panel of insurers for other business insurance such as: Fleet Insurance, Taxi Insurance, Truck Insurance and Courier Insurance. Parts Only – This cover will offer you insurance only for parts and will not cover any of your vehicles on the road. Third party only (TPO) – which covers only the minimum of third party damage. Third party, fire and theft (TPFT) – which is TPO cover but with fire, theft, and criminal damage included. Comprehensive – which ensures cover for all the above, as well as personal effects cover, windscreen damage, medical costs, and accidental damage. Combined Motor Trade Insurance – Combined traders’ insurance is true peace of mind. It’s a type of cover that enables you to protect every part of your business. So, as well as covering your company and customer vehicles, it also covers your premises, tools, stock and cash as well. Part-Time Motor Trade Insurance – If you work in the motor trade on a part-time basis, then you can get a flexible policy that covers you only for the period of time that you need. Now, for the juicy part. You want to know how to save yourself some extra cash when taking out a traders’ insurance policy. Well, you’re already on the right website, so you’ve made a good start! Hire Experienced Safe Drivers – You cannot under-estimate the importance of having experienced employees in your business. Drivers without penalty points are one of the best ways to reduce the cost of a motor trade insurance policy, as insurance providers could increase your premium if you have younger drivers, or drivers without a clean licence. Secure Your Premises – You’d be amazed at the amount of businesses that are slack when it comes to their security. With your premises safe and secure, this will help to reduce the risk of theft and vandalism. With a nicely secured site, you’ll likely see lower insurance premiums too. It’s a win-win! Increased Excesses – A higher excess can reduce the cost of your premium. Try upping your standard excess with a voluntary excess, and see if you reduce your premium. Pay Annually, Not Monthly – Annual policies are the cheapest way to pay for your policy. If you can afford to pay for your insurance in one go, try and do so, as insurers will likely discount your premium compared to paying monthly. Be Aware Of Add-Ons – Some might be unnecessary for your traders’ insurance needs, check before you buy! Shop Around At Renewal – We know how easy it is to let an annual policy auto-renewal when it reaches the end of its life. But this convenience comes at a cost! Insurance premiums are likely to increase at renewal stage, so check your renewal quote and shop around to see if you can find cheaper prices online. Standard Vehicle Cover – Some ‘any vehicle’ policies will cover you for higher-risk vehicles such as classic cars, high-net worth vehicles, or trucks. Make sure if you only need standard vehicles covered, you aren’t paying any extra for cover you don’t need! Modifications – Any vehicle modification could increase your premium. Ask yourself: is this mod something that I need for my vehicle? Because without it, you could be saving money on your insurance. Motor trade insurance is for traders only. If you are in any business where you are in the care, custody or control of a customer’s vehicle, you need traders’ insurance. 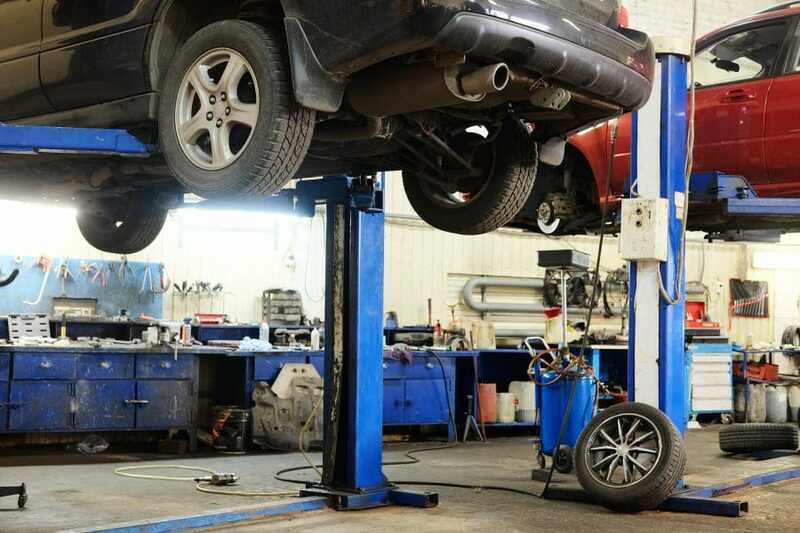 If your business sells vehicles, then you also need a motor trade insurance policy. You can get any driver cover, as well as named driver policies. All of your vehicles can be covered, but always have your own insurance for personal use. There are many cover types for traders’ insurance – make sure you get the one that suits your needs. Always be on the look out for ways to reduce premiums through safe drivers and avoiding unnecessary extras on your policy. Now you understand the world of motor trade insurance, here’s how you can get quotes with no fuss – click the button below!